SEOUL (Yonhap) — North Korea, which has limited channels to upgrade its science and technology due to its reclusiveness, held its annual international book fair for promoting exchanges of science and technology in late June. The (North) Korean Central News Agency (KCNA) on June 23 said the Sixth Pyongyang International Science and Technology Book Fair opened at the Three-Revolution Exhibition on the same day. The North has depended upon foreign contribution of up-to-date books on science and technology, mainly from pro-Pyongyang Korean residents in Japan or the Goethe Research Institute of Germany. Reflecting the importance of the event, officials led by Choe Thae-bok, secretary of the Central Committee of the ruling Workers’ Party, and scientists and technologists attended the ceremony alongside delegations of different countries, the KCNA said. Mun Jae-chol, acting chairman of the Korean Committee for Cultural Relations with Foreign Countries, said at the opening ceremony that the fair would contribute to promoting mutual understanding, trust, friendship and cooperation among countries and nations. Participants examined advanced science and technology books and materials displayed by the DPRK (North Korea), China, Russia, Germany, Mongolia, Indonesia, Poland, international organizations such as the World Health Organization, the United Nations Children’s Fund and organizations of overseas compatriots, the KCNA added. Seoulsky Vestnik (No. 120) July 2008. Три месяца спустя после прихода к власти новой администрации в Республике Корея, страну захлестнула волна массовых антиправительственных демонстраций, забастовок, и нарастающих призывов к импичменту президента. В июне правительство в полном составе подало в отставку, а сам президент Ли Мён Бак был вынужден дважды извиняться перед народом за допущенные ошибки. В чём причина и что послужило поводом к такому развитию событий? Политические и экономические аспекты программы правящей партии “Ханнара”, которая уже во время своей предвыборной кампании объявила, что поставит отношения с Северной Кореей на «прагматическую» основу, не могли не вызывать опасений. Не удивительно, что уже в марте отношения между КНДР и Республикой Корея оказались серьёзно испорчены. Обидевшись на попытку Сеула «открыть» Северную Корею и обещания довести ВВП этой страны до 3000 долларов на душу населения, Пхеньян объявил Президента Ли Мён Бака “шарлатаном” и “национальным предателем”. Read the full text of this article in Russian here: газета Сеульский Вестник (№120), июль 2008. Joongang Ilbo (North Korea’s economic slide picks up speed 2008/06/19) North Korea’s economy shrank 2.3 percent in 2007 from a year earlier, its second straight year of contraction as devastating floods hit harvests, the South Korean central bank said yesterday. The Bank of Korea estimated that the country’s gross domestic product shrank more than twice as much as the 1.1 percent contraction in 2006. The 2006 slide was the first in eight years and was due mainly to worsening international relations following its first nuclear test and severe flooding. North Korea’s economic growth was estimated from information given by various institutions including the National Intelligence Agency. “Last year the North Korean overall economy suffered difficulties as a fall in agricultural production deepened its food shortage,” the central bank said in a report. The gap between the economies of the two Koreas is growing ever wider. The central bank said North Korea’s nominal gross national income was 24.8 trillion won ($24.2 billion) last year, just 2.8 percent of South Korea’s 902.5 trillion won. North Korea’s per capita GNI is 1.1 million won, only 5.7 percent of South Korea’s 18.6,626,000 won. The North, with 23.2 million people, has less than half the population of the south, with 48.5 million. North Korea’s agricultural sector contracted 9.4 percent last year from a year earlier, much greater than the 2.6 percent fall in 2006, the bank said. A bright spot is growth in the service industry ? the number of international tourists, including South Koreans, visiting Mount Kumgang increased to 377,000 last year from 266,000 in 2006. North Korea exported $920 million in goods, such as ore and minerals, last year. It imported $2 billion in products like cars and textiles. Of the North’s total trade, that with South Korea made up $1.8 billion. Since a full-scale famine in the mid to late 1990s that killed hundreds of thousands, the North has relied on international aid to help feed its 23 million people. Severe food shortages have been reported this year. A recently obtained North Korean government document indicates that the country is facing grave food shortages, according to Good Friends, a South Korean organization working to help hungry North Koreans. Aid groups say North Korea may see tens of thousands of people dying of starvation in two months if there is no emergency foreign aid. The Seoul government estimates the North needs at least 5.42 million tons of cereals annually but is 1.24 million tons short this year. IFES NK Brief (“DPRK EMBRACES COMPARATIVE ADVANTAGE TO STRENGTHEN FOREIGN ECONOMIC RELATIONS “, 2008/06/17) reported that a ccording to an article run in the June 10 issue of the Rodong Sinmun, the newspaper of the DPRK Workers’ Party, economic independence “is not closing the doors and solving everything 100 percent on our own,” and stressed the fundamental rule of ‘selling what is present and buying what is missing’, otherwise known as comparative advantage, as the key to advancing overseas foreign economic relations. The article closed by noting, “the important, fundamental issue as [the DPRK] maintains the basic path toward the construction of a powerful economic state…is keeping the economic structure’s distinctive qualities alive while technically reviving the people’s economy,” and furthering the development of heavy industries and national defense industrial sector. “The collapse of North Korean agriculture in the 1990s was not the result of backwardness. In fact, North Korea boasted one of the most mechanized agricultures in Asia. 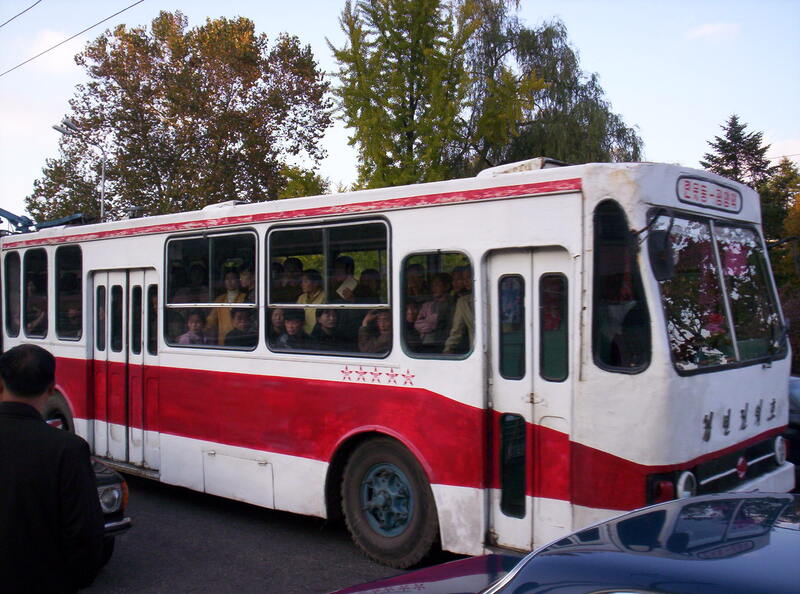 Despite claims of self-sufficiency, the North Koreans were actually heavily dependent on cheap fuel imports. (Does that already ring a bell?) In their case, the heavily subsidized energy came from Russia and China, and it helped keep North Korea’s battalion of tractors operating. It also meant that North Korea was able to go through fertilizer, a petroleum product, at one of the world’s highest rates. When the Soviets and Chinese stopped subsidizing those energy imports in the late 1980s and international energy rates became the norm for them, too, the North Koreans had a rude awakening. Like the globe as a whole, North Korea does not have a great deal of arable land — it can grow food on only about 14% of its territory. (The comparable global figure for arable land is about 13%.) With heavy applications of fertilizer and pesticides, North Koreans coaxed a lot of food out of a little land. By the 1980s, however, the soil was exhausted, and agricultural production was declining. So spiking energy prices hit an economy already in crisis. Desperate to grow more food, the North Korean government instructed farmers to cut down trees, stripping hillsides to bring more land into cultivation. Big mistake. When heavy rains hit in 1995, this dragooning of marginal lands into agricultural production only amplified the national disaster. The resulting flooding damaged more than 40% of the country’s rice paddy fields. Torrential rains washed away topsoil, while rocks and sand, dislodged from hillsides, ruined low-lying fields. The rigid economic structures in North Korea were unable to cope with the triple assault of bad weather, soaring energy, and declining food production. Nor did dictator Kim Jong Il’s political decisions make things any better. Crisis of Representative Democracy in South Korea? 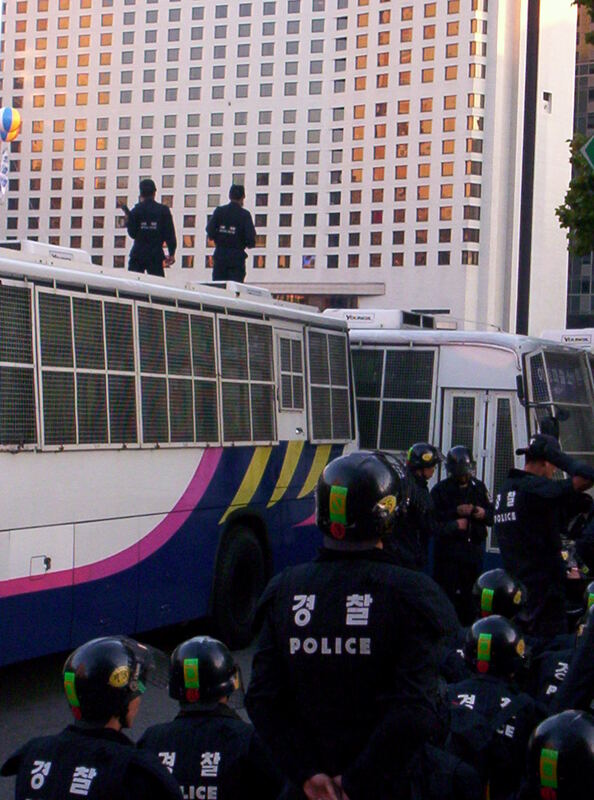 Continuing mass protests across South Korea have been predicted and are not surprising. Although some people tend to see in the wave of public disobedience a mere anti-Americanism, experts and political analysts identify deeper reasons for discontent. ‘Suip-kogi’ [imported beef] or ‘Mije’ [American imperialism] is only a pretext for the 96,000-strong demonstration to vent people’s anger at and frustration with the obvious return to the old era of dictatorial policies. Since February 2008, President Lee Myung-bak, nicknamed ‘Bulldozer’, has performed a rough start which instantly reminded the Korean people about their recent past, so unpleasantly associated with the regime of Pak Jong-hee. However the twenty years of democratic reforms and the ten years of engagement and cooperation with the North have taught South Koreans to value their freedoms and defend their rights. SEOUL (AFP) – South Korea’s new parliament opened to a near half-empty chamber Thursday after an opposition boycott, deepening the crisis facing President Lee Myung-Bak amid growing protests over US beef imports. Lee was to have delivered a speech but the opening ceremony was called off as opposition lawmakers chose to concentrate their forces for a 72-hour rally against government plans to resume imports of US beef. It meant the National Assembly did not officially convene, although ruling party members did take their seats for a session. Meanwhile, thousands of people gathered in downtown Seoul to kick off the three-day rally over the holiday weekend, the latest in a series of protests that have increasingly called on Lee to step down. Police are braced for possible clashes after rallies earlier this week led to hundreds of arrests and scores of injuries when demonstrators attempted to march on the presidential palace. Analysts say South Korea is facing a leadership crisis just 102 days into Lee’s presidency. Lee swept to victory in December’s presidential elections on a promise to use his business experience to revive the sluggish economy. That has quickly soured however. Expectations of a quick turnaround are fading fast, he has been criticised for appointing senior officials who have been linked to land speculation, and there is strong opposition to a cross-country canal project he is pushing. Earlier Lee’s conservative Grand National Party suffered heavy losses in a series of local elections, its first electoral test since taking power. The GNP won only one of six contests where it was fielding candidates for the post of local government chief, and only seven of 29 assembly seats. The main opposition United Democratic Party (UDP) was the big winner, with the other seats shared by splinter groups and independents. Meanwhile, opposition parties and a group of liberal lawyers — the latter backed by a petition of more than 96,000 people — filed separate lawsuits to the Constitutional Court asking it to strike down the beef deal. This year the Grand Mass Game and Artistic Performance “Arirang” will be staged from 1 Aug. until 30 Sep. every evening. 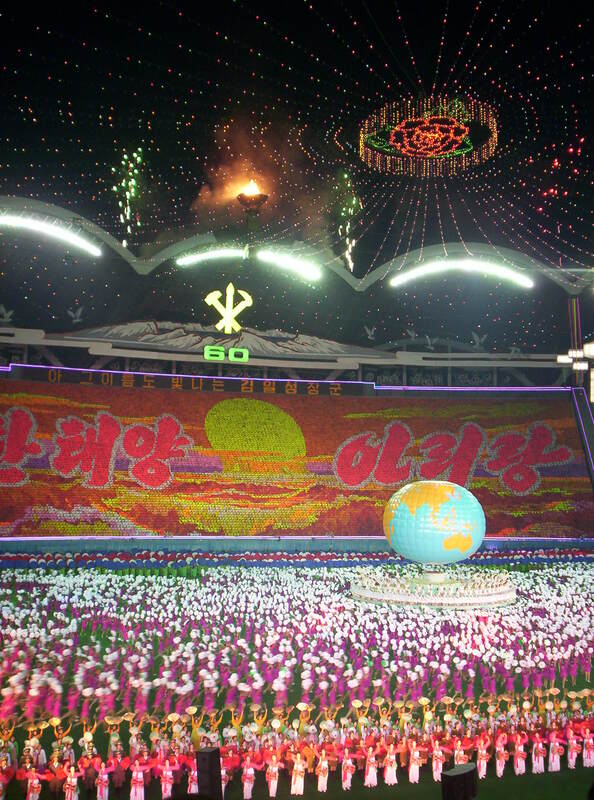 In addition to “Arirang”, a new project – “Prosper the Motherland!” dedicated to the 60th anniversary of the founding of the DPRK – will be run every afternoon. Guests and visitors to the Beijing Olympics (8-24 Aug.) can extend their China tour by spending six days in North Korea. 30 August (Sat) – Flight Beijing-Pyongyang, 11:55 departure / 15:00 arrival. Customs at Pyongyang airport, meeting with guides, Mansudae Grand Monument, Arch of Triumph, Fountain Park, transfer to Sosan Hotel. Check in hotel. After dinner – “Arirang” performance. 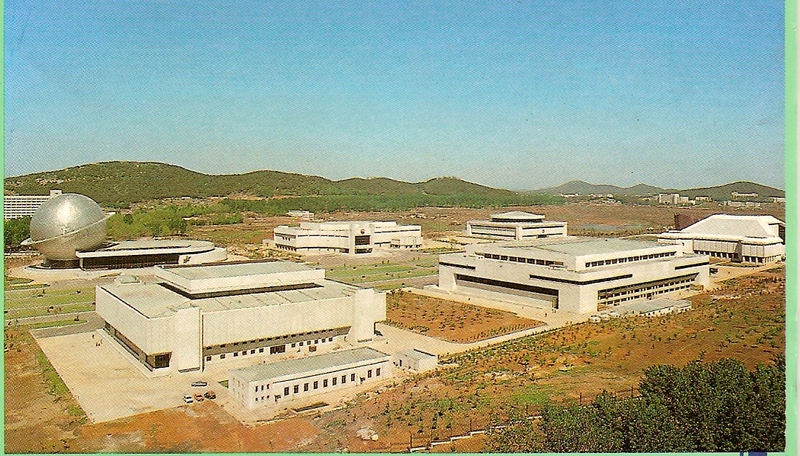 31 August (Sun) – Kumsusan Memorial Palace (Mausoleum of Kim Il Sung), Revolutionary Martyrs’ Cemetry, Buddhist Temple. After lunch – City tour of Pyongyang, including birthplace of President Kim Il Sung, Juche Tower, Monument to Party Foundation, Kim Il Sung Stadium, War Victory Monuments, Pyongyang Metro. 1 September (Mon) – Day tour by coach to Kaesong, Panmunjom/DMZ. After lunch – Kaesong Koryo Museum, return to Pyongyang. 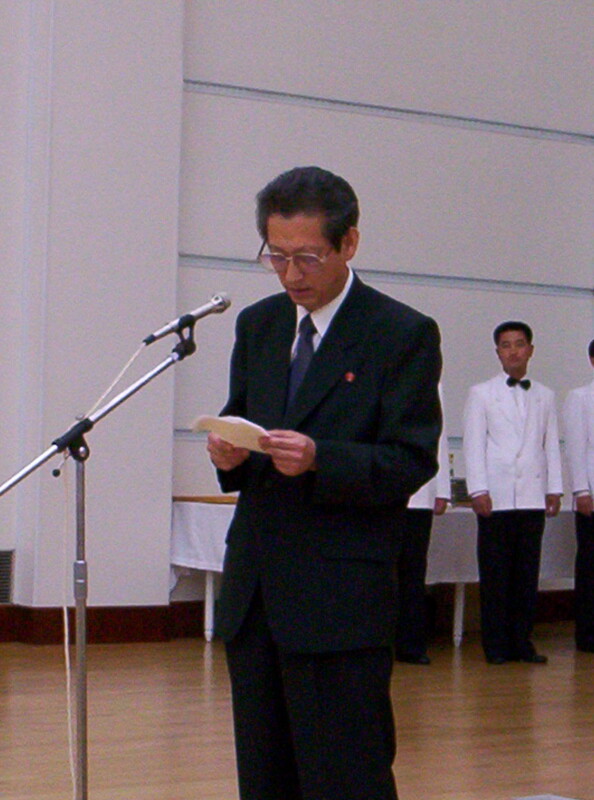 Mangyongdae Schoolchildren’s Palace (performance). Dinner. 2 September (Tue) – Coach drive to Mt. Myohyang. International Friendship Exhibition (Hall of gifts to DPRK leaders), Bohyon Buddhist Temple, Mountaineering in attractive Mt. Myohyang (one of top scenic spots), check in Hyangsan Hotel. 3 September (Wed) – Excursion to Ryongmun Cavern. Return to Pyongyang. After lunch – Commemorative Mass Game “Prosper the Motherland!’. Shopping. Check-in Sosan Hotel. Dinner in a local restaurant. 4 September (Thu) – Flight Pyongyang-Beijing, 10:30 departure / 11:30 arrival. Tour price: 5 nights / 6 days = 1,290 EUR per person. These prices include: Travel between Beijing and Pyongyang by airplane, shared twin room accommodation, three meals per day, all domestic transportation, interpretation, sightseeing, and entrance fees while in North Korea. Single room supplement: 30 EUR per person per night. The tour prices do NOT include: visa fee, other international flights, airport tax, and tickets for Mass Gymnastics Shows in Pyongyang. Deadline for applications by e-mail: 30 July 2008. There have been no accurate films about life in the DPRK With the contentious exception of “The Person Who Remains in My Heart” (1989) and “A Schoolgirl’s Diary” (2006) the North Koreans themselves prefer not to produce anything close to reality. The South Korean filmmakers do not exactly know what happens inside the borders of their northern neighbour and always risk misrepresenting the reality, limiting themselves to comedies and spy thrillers. Foreign producers and directors simply are not interested. It now looks like what we have been waiting for has finally arrived. The new film “Crossing” by director Kim Tae-gyun is an attempt to depict the daily life in North Korea (with focus on poverty, starvation, concentration camps) and the dangers of escape route via China and Mongolia. The Korean-American producer, Patrick Choi, tried with this film to help the world understand the plight of North Koreans suffering from the human rights abuse. …Though it did not win any awards at the Cannes Film Festival last week, “The Crossing” is simply the best film ever made—documentary or otherwise—about the plight of North Koreans. I had the good fortune of watching an advance screening of the film as part of North Korea Freedom Week in Washington, D.C. Attendance was not as strong as I had hoped, but there was hardly a dry eye in the theater and one defector could not stop sobbing after the film ended. See the full text of the review by Peter Beck here. 탈북자 문제를 본격적으로 다룬 한국의 첫 상업영화 ‘크로싱’이 오는 28일 이 곳 워싱턴에서 처음으로 시사회를 갖습니다. 이 영화를 직접 구상하고 제작한 패트릭 최 씨는 ‘미국의 소리’방송과의 인터뷰에서, 북한의 심각한 인권 문제가 핵과 동등하게 세계인들에 알려지길 희망해 영화 제작과 시사회를 결정했다고 말했습니다. 오는 26일부터 워싱턴에서 열리는 제 5회 북한자유주간 행사의 일환으로 열리는 이번 시사회에 관해 김영권 기자가 알아봤습니다. 탈북자들의 실제 이야기를 재구성한 한국 영화 ‘크로싱’ 이 오는 28일 워싱턴에서 첫 선을 보입니다. 제 5회 북한자유주간을 주최하는 북한자유연합의 남신우 부의장은 23일 ‘미국의 소리’ 방송과의 전화 인터뷰에서 ‘크로싱’ 시사회 일정이 28일로 최종 확정됐다고 말했습니다. “우리가 하는 행사의 기본이 북한 인권과 탈북자이니까 이 영화가 전체적으로 개봉하기 전에 시사회를 할 수 있고, 또 미국의 기자들에게 보여줘서 북한자유주간의 일부분으로 기여할 수 있다는 데 큰 의미가 있다고 봅니다.” 한국의 인기배우 차인표가 주연을 맡은 영화 ‘크로싱’은 병든 아내를 고칠 약과 배고픔에 지친 가족들의 식량을 구하기 위해 중국으로 탈북한 한 남성이 어린 아들과 엇갈린 만남을 반복하며 겪는 탈북자들의 가슴 아픈 이야기를 중국, 몽골 현지 촬영을 통해 매우 사실적으로 그리고 있습니다. 28일 미국 의회도서관과 워싱턴 시내 한 문화공간 (Ebenezers Coffeehouse)에서 두 차례 열릴 이번 시사회에는 영화의 프로듀서와 작가가 직접 참석해 마지막 시사회 뒤 기자회견을 가질 예정입니다. 4~5년 여 전부터 이 영화를 직접 구상하고 제작을 주도한 미주 한인 프로듀어 패트릭 최 씨는 23일 ‘미국의 소리’ 방송과의 전화 인터뷰에서, 북한 인권에 대한 실상을 세계인들과 나누고 싶어 영화를 제작하게 됐다고 말했습니다. “미국 뿐아니라 전세계에, 물론 한국 사람들도 마찬가지겠지만 북한에 대해서 지금 핵 문제에 대해서만 많은 사람들이 알고 있는데 그 밖에도 인권 문제도 똑 같은 중요성을 갖고 많은 사람들이 알았으면 좋겠습니다.” 최 씨는 북한 인권 문제의 실상을 사실적으로 다룬 만큼 개봉 전에 미국 내 주요 인사들에게 이 영화를 먼저 소개하고 싶었다고 말했습니다. 이 영화를 연출한 김태균 감독은 최근 일반에 공개한 영상 편지에서 영화감독으로서 꼭 만들어야만 하는 영화가 있다며, ‘크로싱’ 이 바로 그런 영화라고 말했습니다. “10년 정도 된 것 같아요. 탈북자들. 또 북한의 식량난 때문에 거리를 떠돌아 다니는 꽃제비들을 촬영한 영상이 있었는데 너무너무 가까운 곳에서 그런 일이 벌어지고 있다는 것에 대해서 너무 가슴 아프고 내가 살아있다는 것 자체가 너무 부끄러워지는 생각이 들었었어요. 그 기억이 제가 이 영화를 시작하게 된 첫 동기일지도 몰라요.” 김 감독은 이 영화를 통해 특히 남북한이 한 핏줄, 한 가족임을 느끼게 되길 소망한다고 덧붙였습니다. 영화 ‘크로싱’은 5월 중순 세계적인 프랑스 칸느영화제에 별도로 마련된 영화출품시장에서 구매자들에게 첫 선을 보인 뒤 6월 5일 한국에서 개봉될 예정입니다.